The IEP is delighted to welcome David Royle FIEP as our new Fellow. David has a wealth of experience in the employability and skills profession and, as Operations Manager for Reed in Partnership, manages all aspects of performance, both statistical and financial, quality, compliance and integration for Reed in Partnership's Work and Health Programme across West Yorkshire. 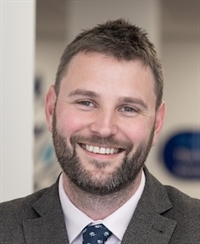 He is also the Self-Employment lead for Reed in Partnership's internal Direct Delivery and was previously Performance and Quality Director at Standguide Limited.